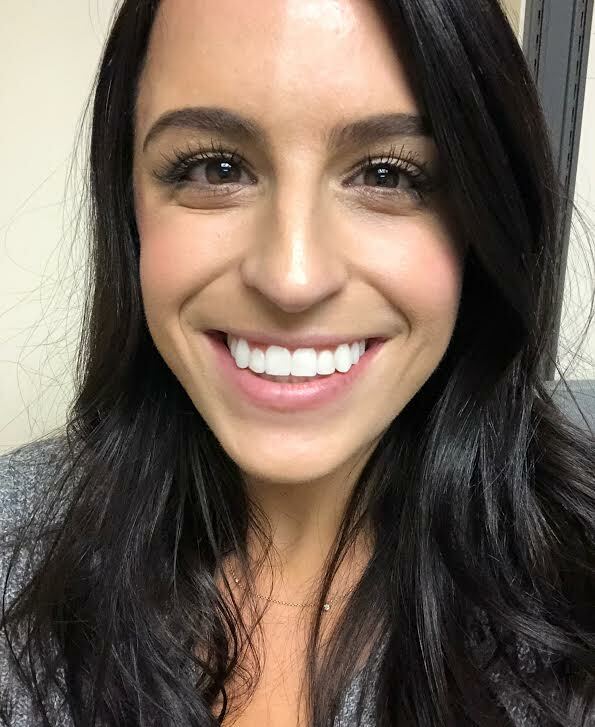 Since I was about a Junior in High school, I have loved having white teeth. I think since my smile is such a huge part of my face and personality (hey, I'm a pretty smiley chick!) that it always made me feel so much more confident having pearly-whites. 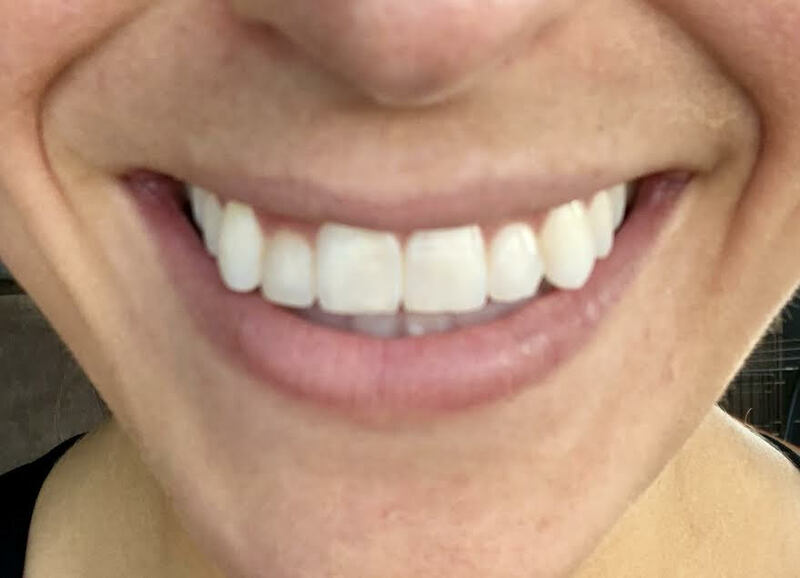 I have tried basically everything from the drugstore: whitening toothpaste, mouth wash, strips that make my teeth so sensitive and don't stay on very well, at-home boiling trays, etc. Everything worked fine, but there was always something I was giving up when using these. Whether it was convenience, being able to speak, a bad taste in my mouth during use... you name it! I found keeping my teeth white at home always came with some kind of caveat. That is why I was so excited with Smile Brilliant reached out. I had seen a few people I followed online using this system and was always intrigued, but never really put in any real research. 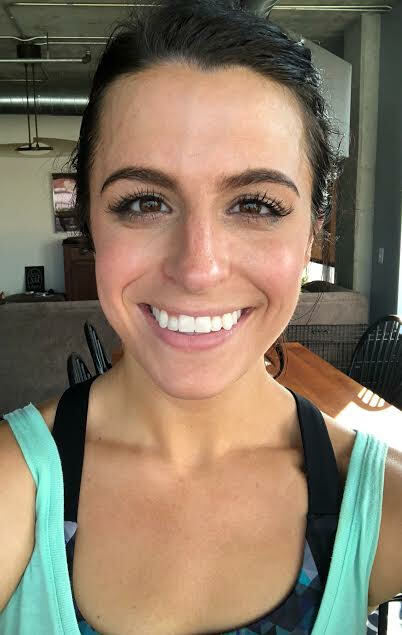 Disclaimer: I was gifted the Smile Brilliant kit in exchange for social promotion; however, all opinions are my own and this post includes my honest review of the products. The entire process was very easy. Smile Brilliant sent me one of their kits in which you create your molds at home. This was honestly really fun. You mix the two mold agents together like silly putty, and once it turns purple, you place it in the try and mold your teeth to it. 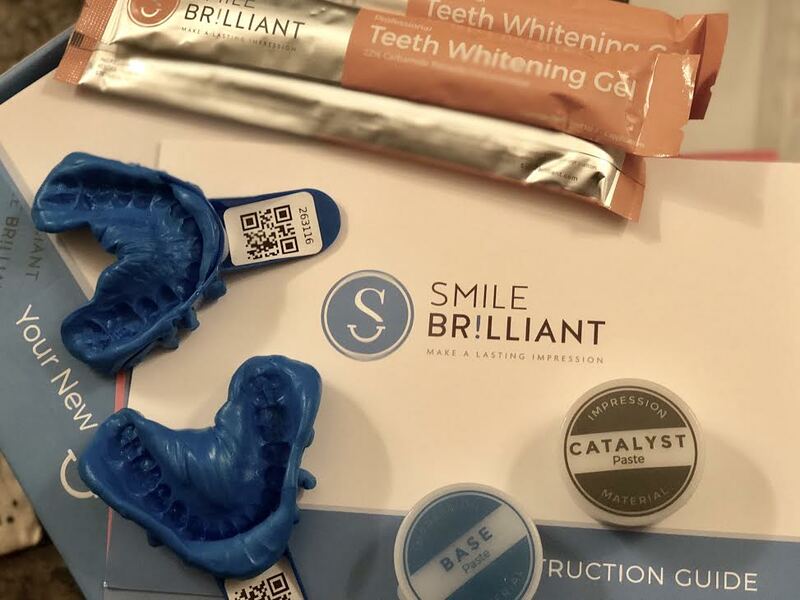 After the molds are complete, you send them back to Smile Brilliant and in just a few days, you get custom-molded whitening trays sent right to your door, which is SO cool! Along with the trays came the whitening agent, as well as desensitizing gel. I had mentioned previous whiteners made my teeth sensitive, so they suggest the package with the gel to help with sensitivity, which was so helpful! As far as the whitening process, it was so easy. You place a portion of the syringe of whitening agent in the trays and place the trays in your mouth for 45 minutes - 3 hours. Since the trays are perfectly molded to your teeth, life is very easy while you are whitening! I was able to prepare dinner, do laundry, even a light workout with my trays in. When I was done, I just rinsed out the trays with warm water, and if needed repeated the same process with the desensitizing gel to keep my teeth from getting sensitive overnight. I felt like every time I took the trays out, I had obvious results, which I loved! It worked so well, that my Fiance at the time (now husband) ordered a kit and used it before our wedding too. 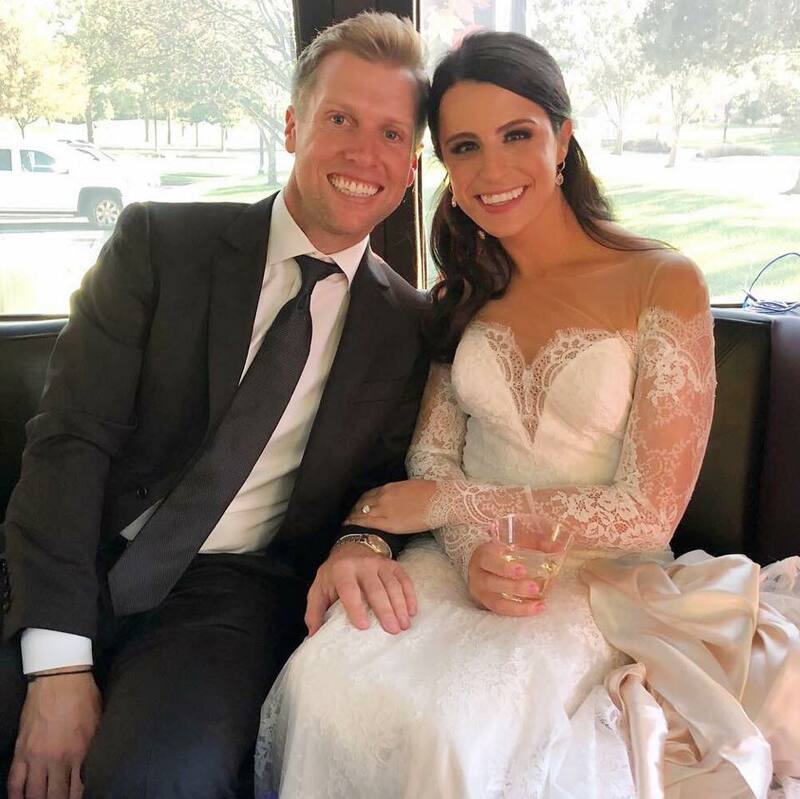 We both felt so confident and smiley all day long at our wedding, and it was definitely in-part due to the Smile Brilliant Whitening kits! 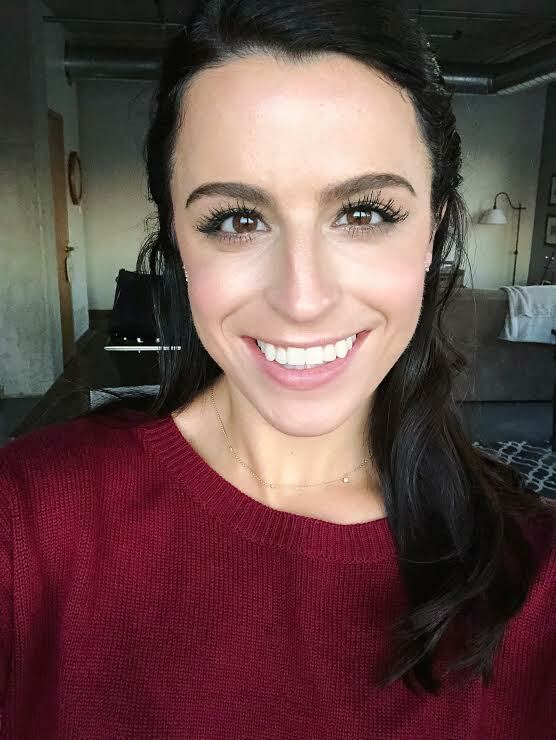 If you are interested in trying Smile Brilliant, head to my Instagram post from today, November 16th, 2018 and enter the giveaway I’m hosting right now. Like the photo, follow me, tag some friends, and most importantly, fill out a super quick form using this link. You could win a $149 Smile Brilliant credit, which is enough for nine whitening treatments! My giveaway is open for 1 week (ending November 23rd, 2018, AKA Black Friday) and open to USA, UK, Australia and Canadian residents! If you want go ahead and purchase Smile Brilliant products without waiting for the giveaway to end, enter the code “molliebellezza15” for 15% off. Look for the photo below on my IG feed! If you have any questions or comments about the products or my experience, please let me know in the comments below and I will get back to you!